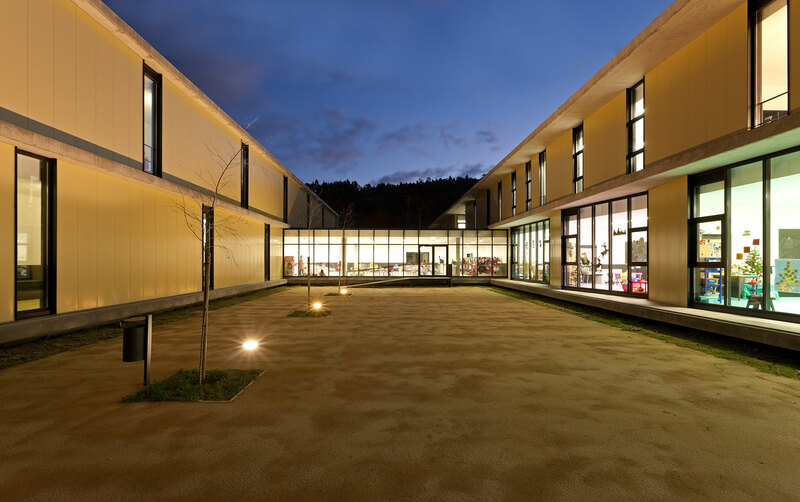 The school for primary and pre-school education is situated next to Guimarães’ sporting district, surrounded by a large green area. The regular topography and form of the land arranges two platforms separated by a small difference in height. 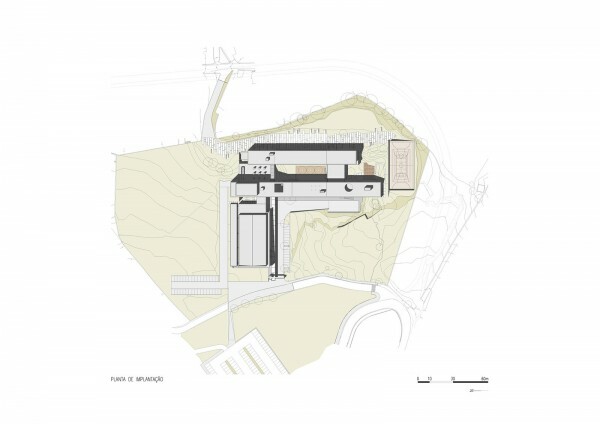 Using the slope which connects the two platforms to the land, we installed the first unit, where the main access is located, and the body of common services which is practically absorbed by the remaining elements. 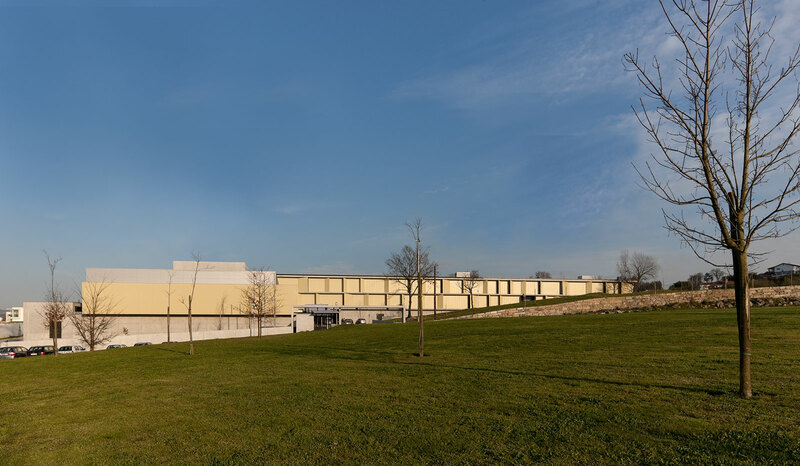 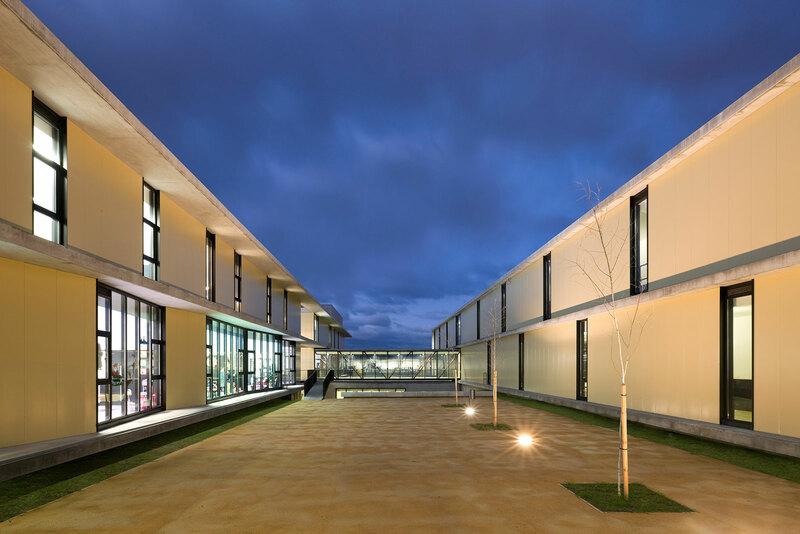 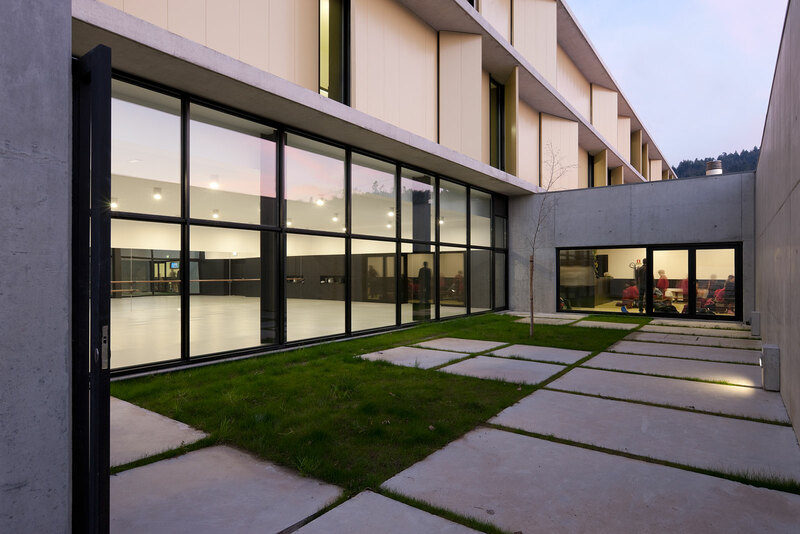 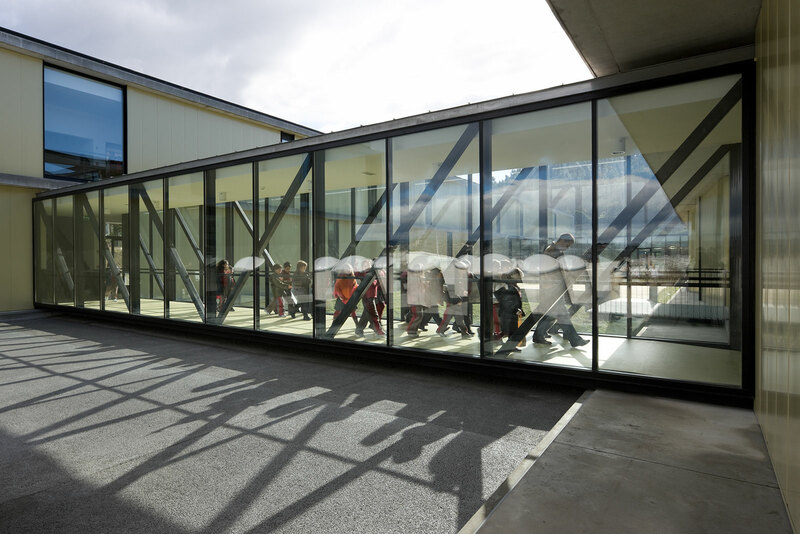 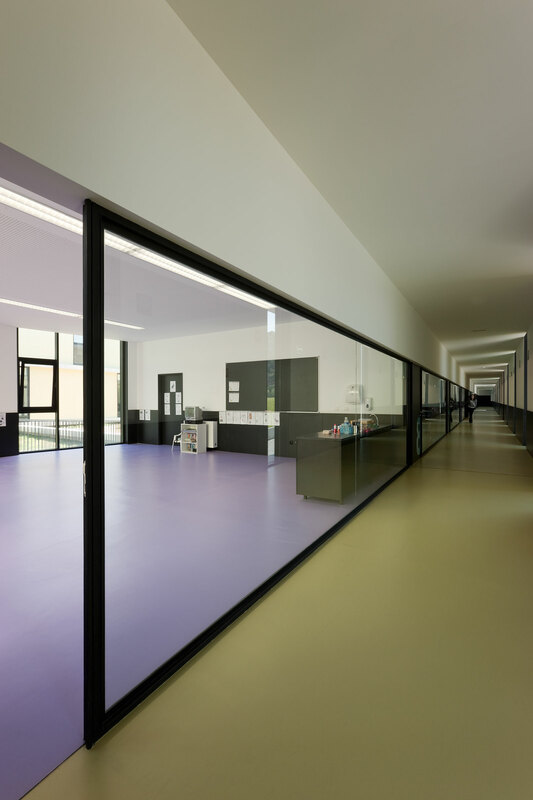 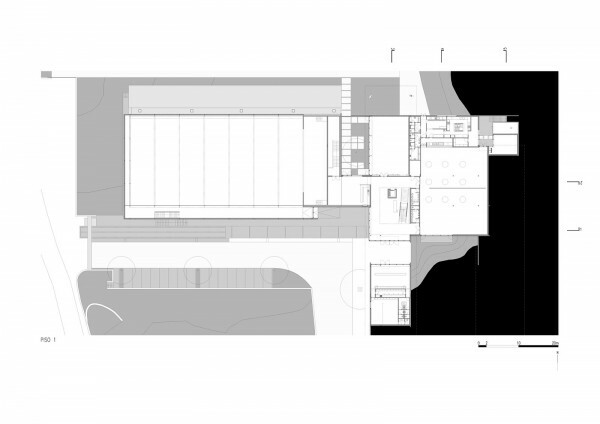 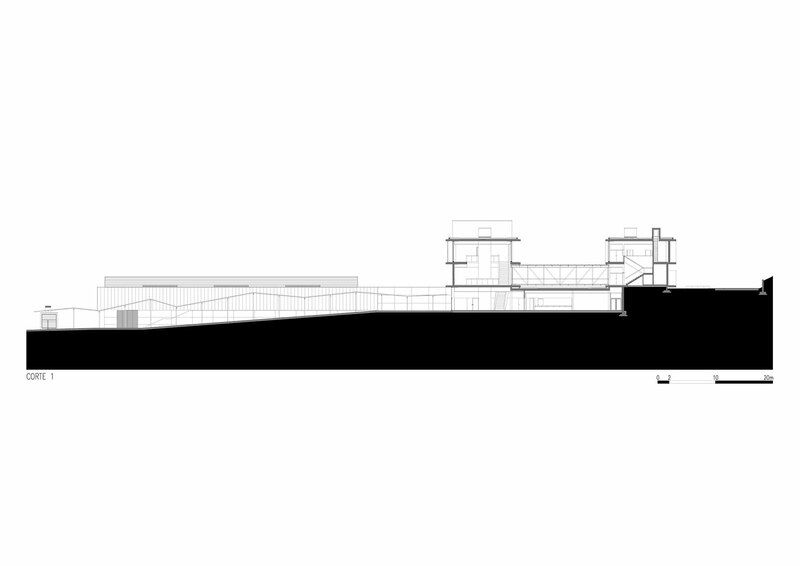 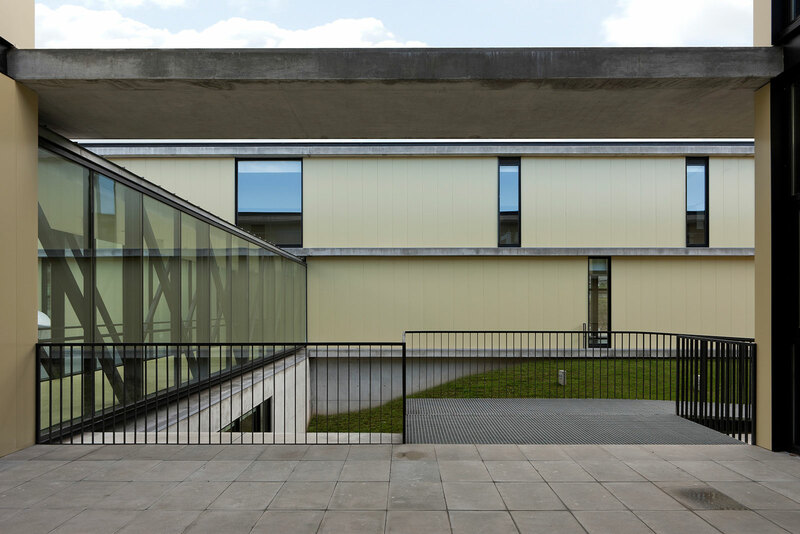 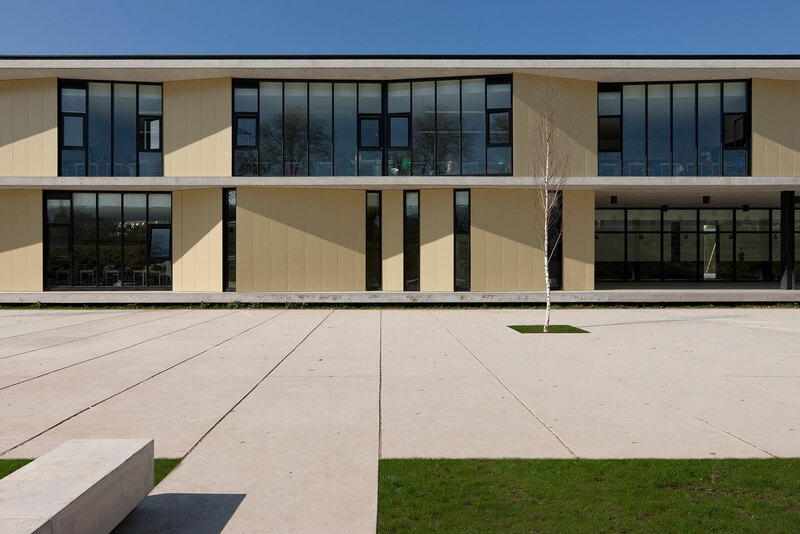 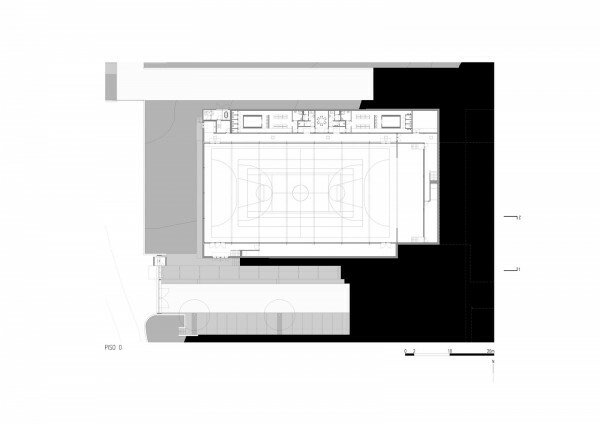 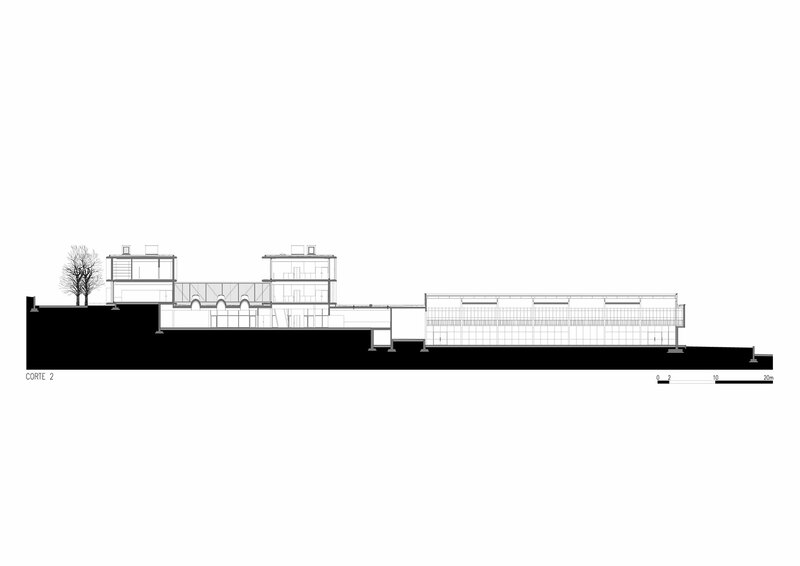 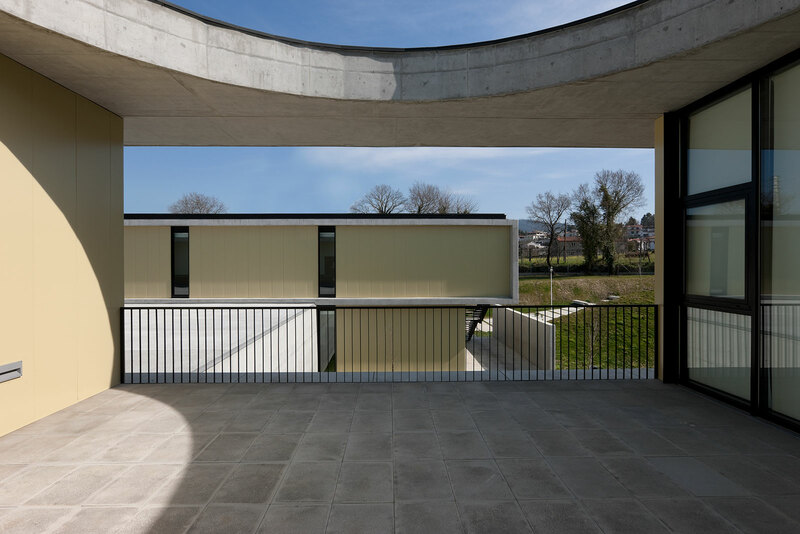 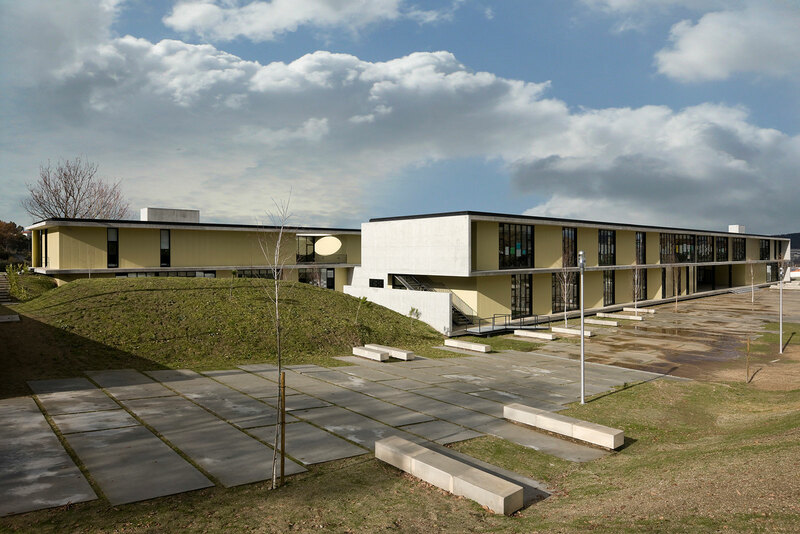 From this, the sports pavilion was developed for the West side, and on the other side, two parallel units for the South, forming a patio with two classrooms orientated to the East and connected by other spaces or crossing elements. 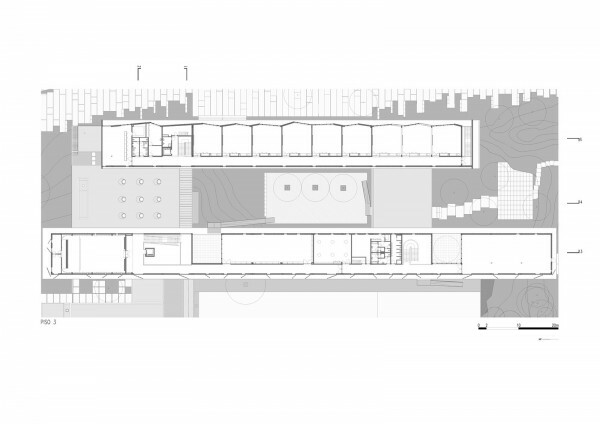 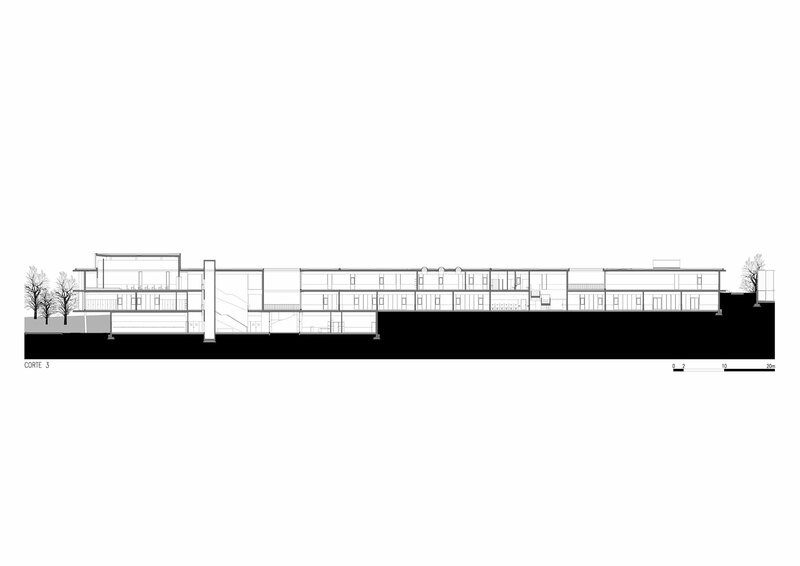 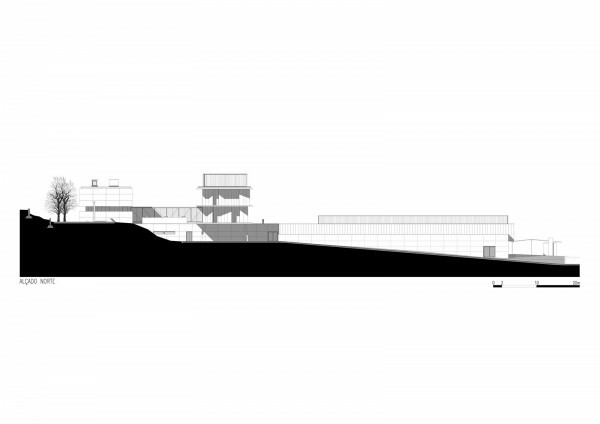 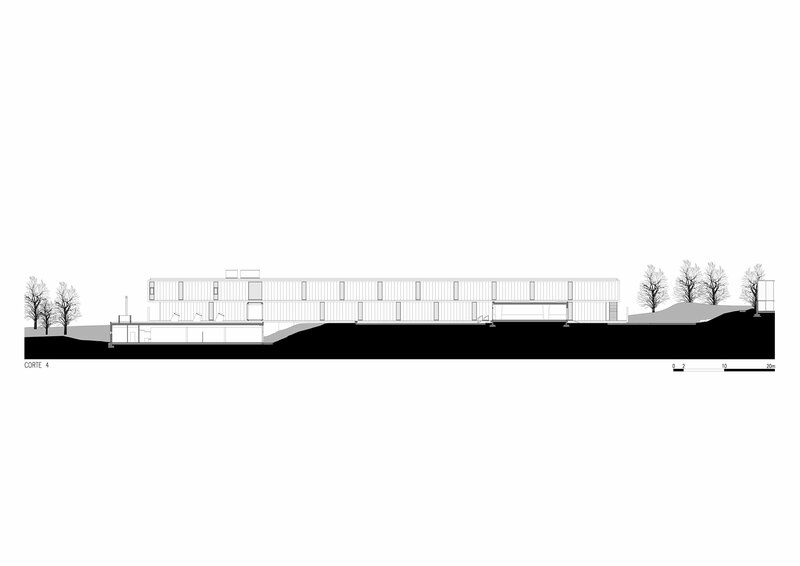 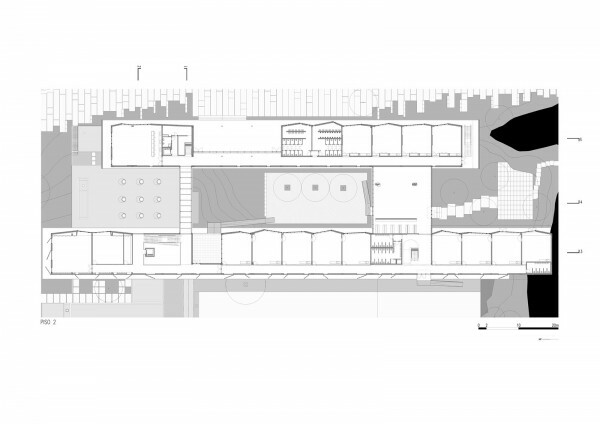 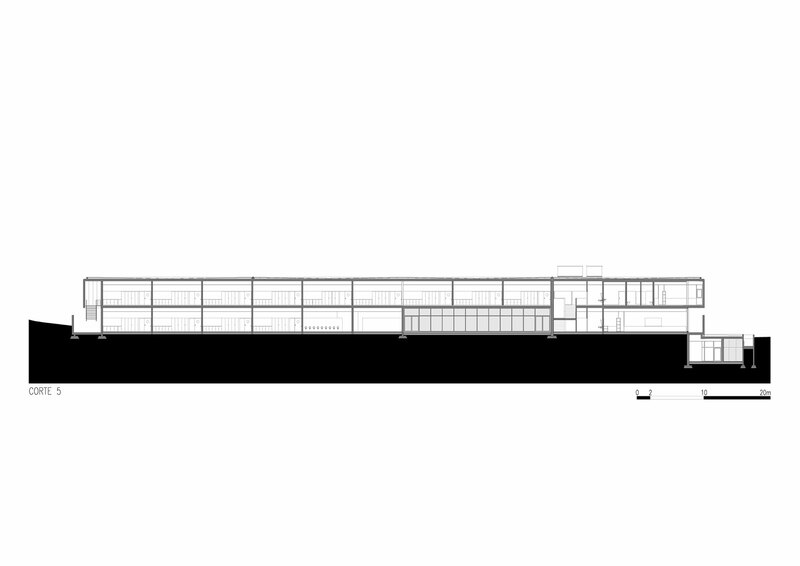 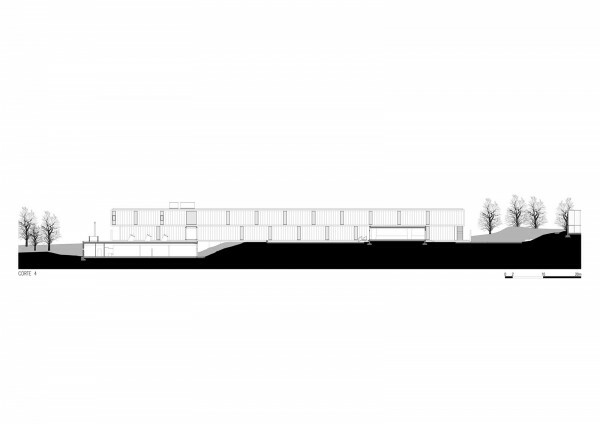 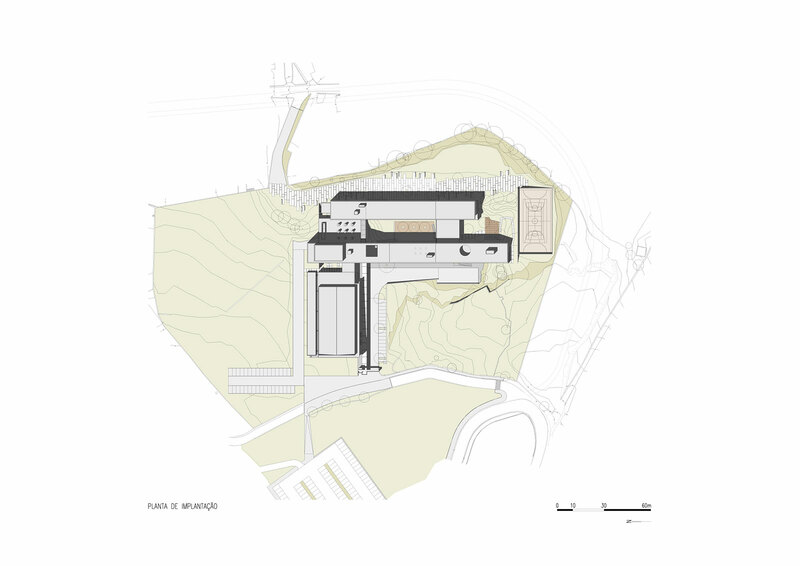 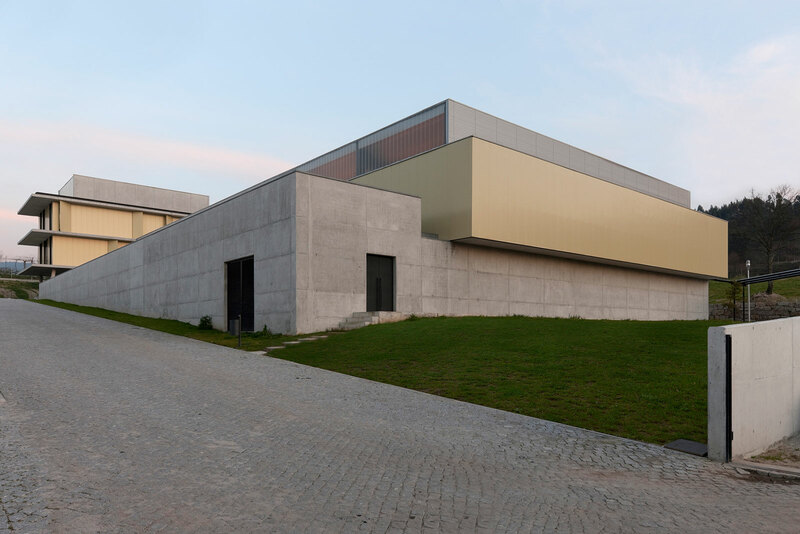 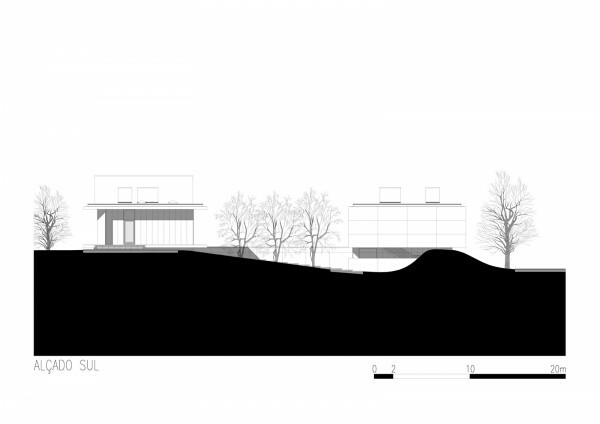 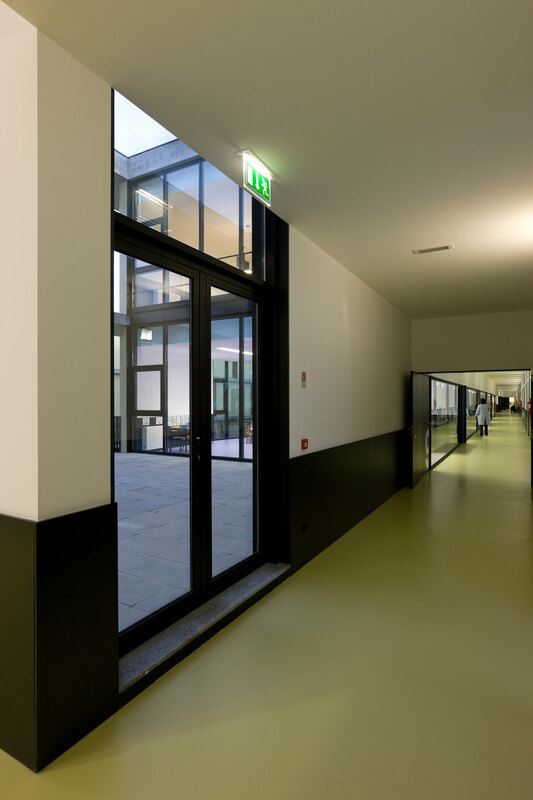 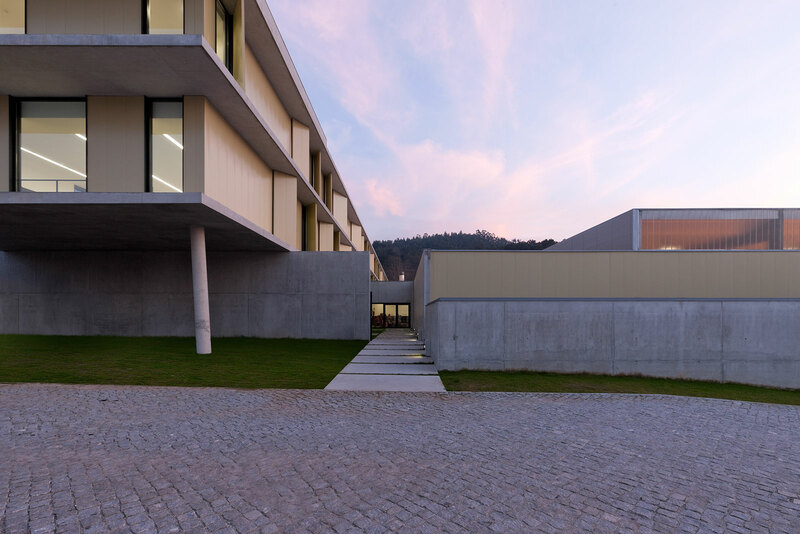 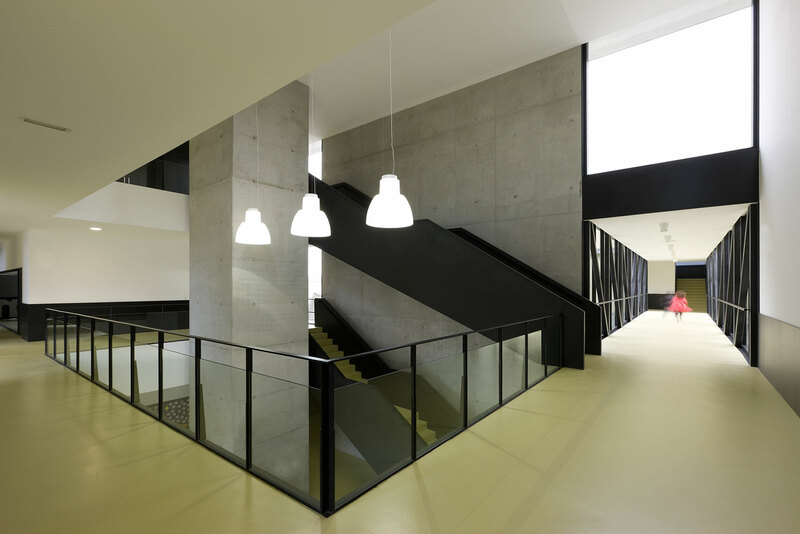 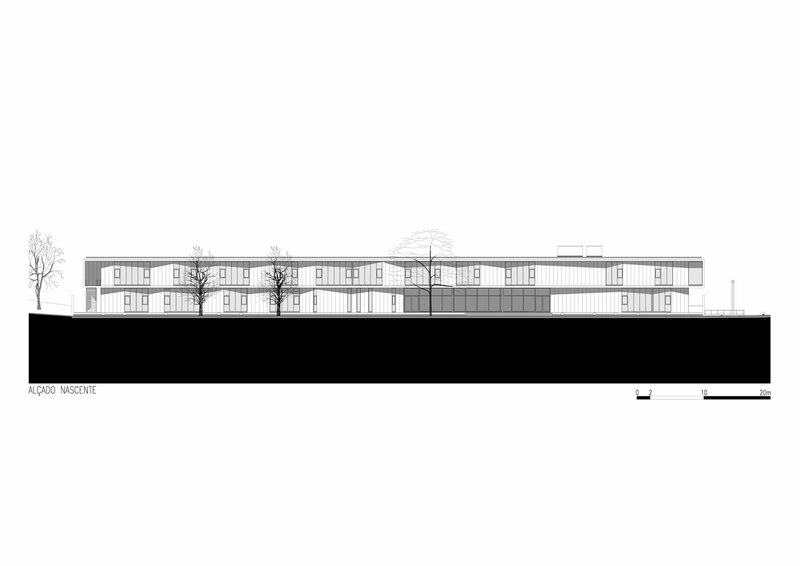 The building´s image is fundamentally characterised by these two parallel units installed in a longitudinal direction of the land, which will essentially be dedicated to the two levels of existing teaching. 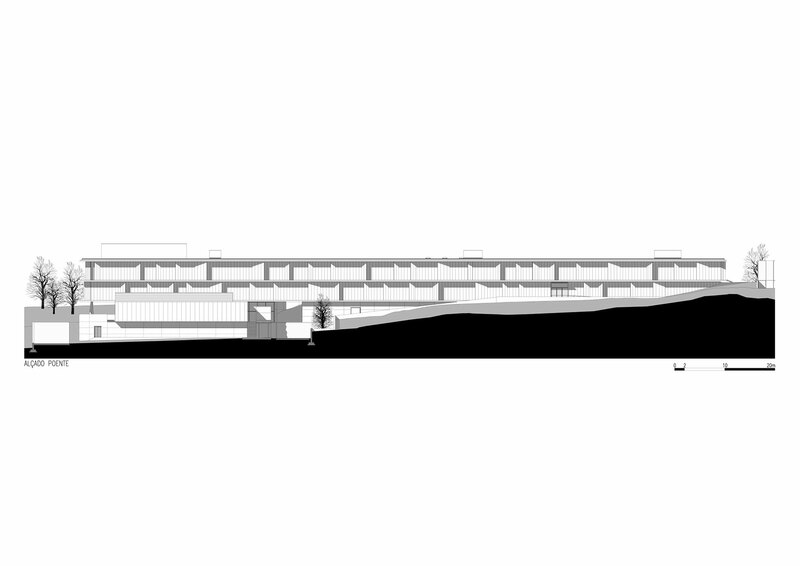 They will be similar in terms of form, emphasising linearity accentuated by the concrete canopies which surround them. 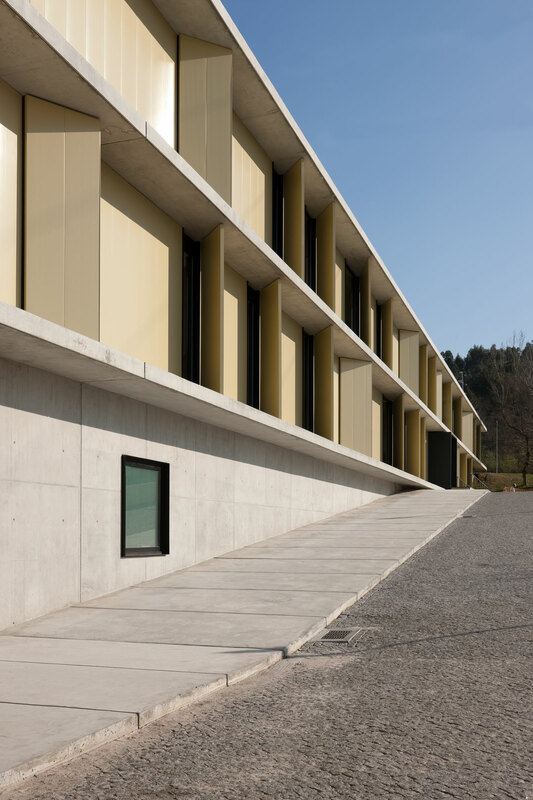 The building was constructed with components of concrete in evidence in support walls, some exterior parameters and shading canopies, varying its sizes according to the orientation of the sun, functioning as separation components and even between the coating elements used. 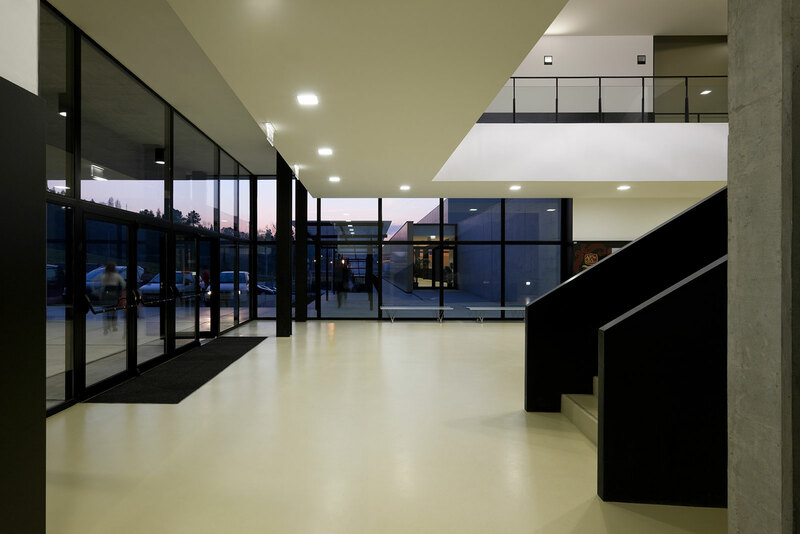 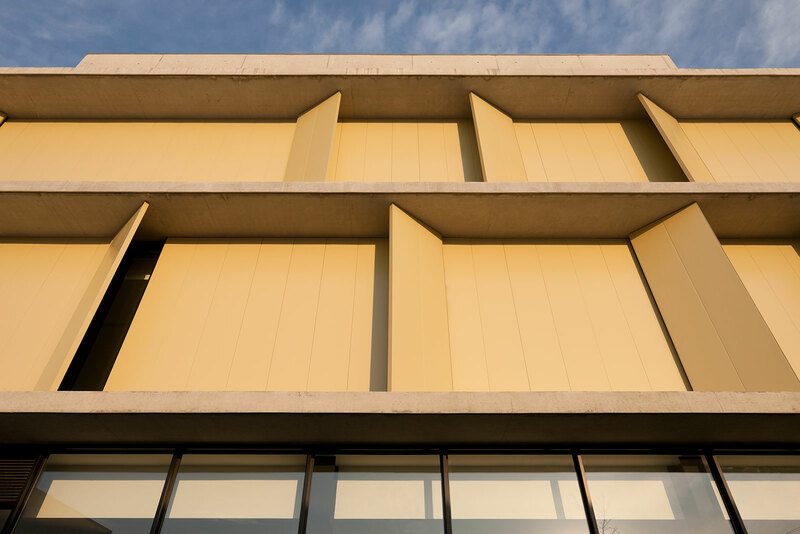 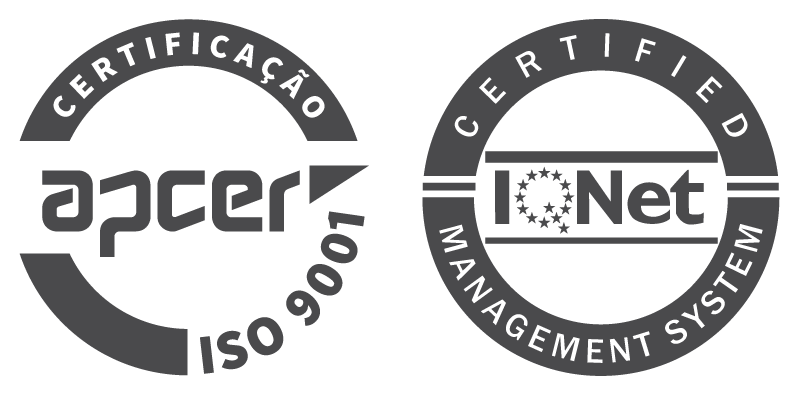 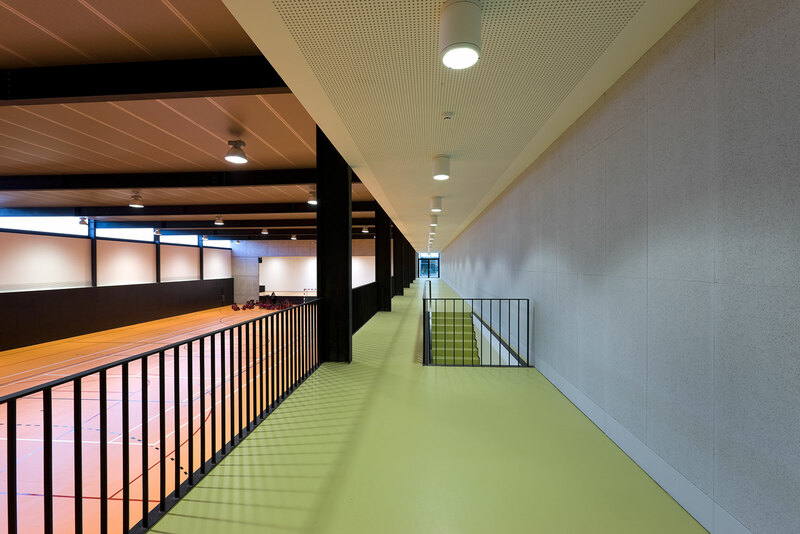 These components are made of polyurethane plate panels, placed over simple walls in acoustic ceramic blocks, simultaneously solving the thermal insulation issue and the exterior finishing of the building. in the façades orientated to the West, defining the image of the building.